Fans of Alice in Wonderland should have a look at this great site. It's Lenny's Alice in Wonderland Site. 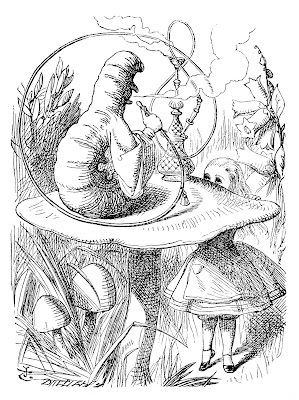 Among other things, the site has a FAQ which answers such puzzles as: "Was Lewis Carroll on drugs? ", "Was Alice in Wonderland banned in China? ", and "What's up with the chess moves in Through the Looking Glass?"